So, What Was the Deal With Julio Yesterday? 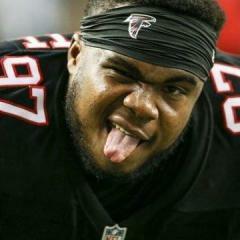 Bottom line Falcons need an OLINE, specifically guards. Those fans need corrective surgery to their perception. Falcons are are in the middle of an injury riddled season after b2b seasons with playoff wins and a SB berth. It’s wrong to blame coaching so soon. Its a knee-jerk reaction & lacks imagination. Personnel issues due to injury & talent deficiencies have prevented this team from playing to it’s strengths. All the weaknesses are glaringly apparent to opponents and there is no way to mask them right now. There is nothing the coaches can do until they have the players. It’s frustrating for everyone on the team to be pushed to do the impossible, the team game plan & philosophy can’t be followed through right now. Let’s talk about what adding two NFL starting caliber OG’s would correct: 1. MR2 would be able to climb in the pocket away from talented edge rushers, step up to plant his feet for intermediate & deep throws. 2. Give MR2 time to complete his timing throws, a staple of this offense. 3. Allow stretch run plays to make it to the edge and gain yards. 4. Open lanes to rush up the middle consistently, & set up a competent play-action that pulls defenders out of coverage. What about a big competent DT to play with Jarrett: 1. LB’s can fly around & edge rushers get more 1on1 matchups. 2. More sacks & pressures. 3. Less overcompensating in the secondary leading to penalties & blown coverages. Three players would totally change this team. You could get away with adding just one OG & a DT & make this team a contender. Falcons will not win without these corrections. Coaching is not the issue. The Saints might not be safe on top of the NFC South. Irvin - #85 Top 100 Player of 2018? But not a pro-bowler? It’s possible his agent let teams know he was only interested in playing for a contender so no one claimed him off waivers. He was able to turn down more lucrative offers because he knew where he wanted to play...him in a rotation with Vic, Takk, & Jack is a best case scenario. And don’t forget he is fresh after getting limited snaps the past few games...gonna be a great second half of the season. 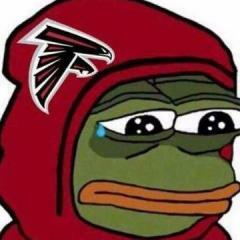 JULIO GOT HIS FIRST TOUCHDOWN!!! What happened to our society?? When did everybody become so sensitive?? Amazing people can’t tolerate another viewpoint different from theirs. The Saints want nothing more than to play in the SB in Atlanta this year...how do we stop them? Got a serious question... If you’re in a play-action play & you see a blitz coming, shouldn’t the play-action get cancelled for protection? Or did Ryan just not know where the blitzes were coming from today? Nothing worse than watching Grown Men QUIT!